Grammy award-winning guitarist and Indie award-winning Duo. 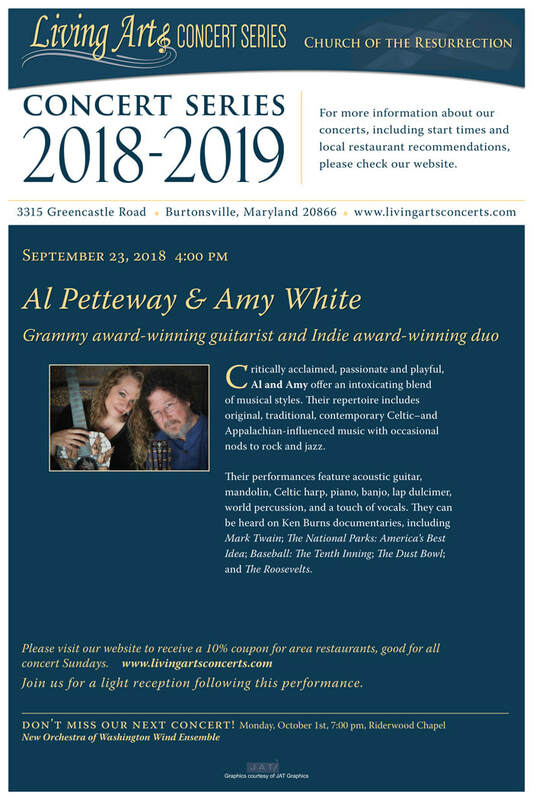 ​Critically acclaimed, passionate and playful, Al & Amy offer an intoxicating blend of musical styles. Their repertoire includes original, traditional, contemporary Celtic- and Appalachian-influenced music with occasional nods to rock and jazz. ​Their performances feature acoustic guitar, mandolin, Celtic harp, piano, banjo, lap dulcimer, world percussion, and a touch of vocals. They can be heard on Ken Burns documentaries Mark Twain, The National Parks: America’s Best Idea, Baseball: The Tenth Inning, The Dust Bowl, and The Roosevelts.